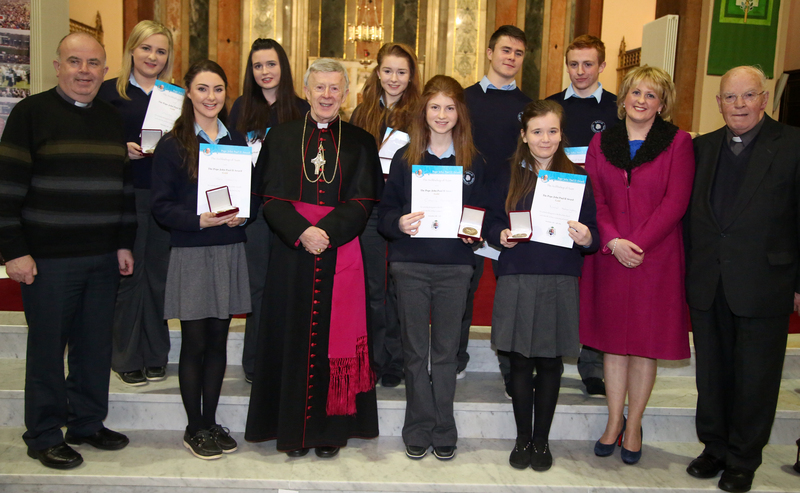 Group from Balla Secondary School who received JPII Awards recently. Fr. Denis Carney, School Chaplain and Fr. Austin Fergus, Mayo Abbey. This entry was posted in Community Notices, Education, General, Recent Happenings, Services, Sport, Recreation & Leisure and tagged Balla, Belcarra, Catholic Church, community notices, happenings, JP II Awards, newsletter, organisations, Pastoral Council, Pope John Paul, Pope John Paul II, Tuam, Youth.